He added: “I would like to emphasize the fact that presumption of innocence is a principle in Ukraine,” and that he couldn’t describe the evidence further. President Obama named Biden to be the administration’s point man on Ukraine in February 2014, after a popular revolution ousted Russia-friendly president Viktor Yanukovych and as Moscow sent military forces into Ukraine’s Crimea territory. Most of the general prosecutor’s investigative work on Burisma focused on three separate cases and most stopped abruptly once Shokin was fired. The most prominent of the Burisma cases was transferred to a different Ukrainian agency, closely aligned with the U.S. embassy in Kiev, known as the National Anti-Corruption Bureau of Ukraine (NABU), according to the case file and current General Prosecutor Yuriy Lutsenko. Ukraine is in the middle of a hard-fought presidential election, is a frequent target of intelligence operations by neighboring Russia, and suffers from rampant political corruption nationwide. Thus, many Americans might take the restart of the Burisma case with a grain of salt, and rightfully so. The bank records show that, on most months when Burisma money flowed, two wire transfers of $83,333.33 each were sent to the Rosemont Seneca-connected account on the same day. 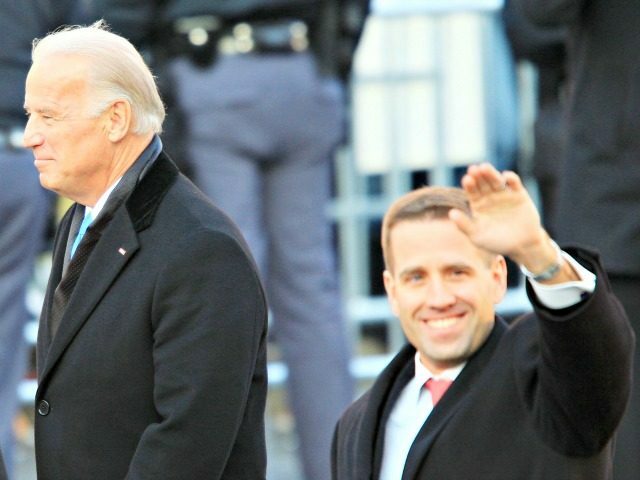 The same Rosemont Seneca-linked account typically then would pay Hunter Biden one or more payments ranging from $5,000 to $25,000 each. Prosecutors reviewed internal company documents and wanted to interview Hunter Biden and Archer about why they had received such payments, according to interviews.